This annual report analyzes participation in the School Breakfast Program among low-income children nationally and in each state and the District of Columbia for the 2017–2018 school year. The report features best practices for increasing participation in the program, including breakfast after the bell models and community eligibility. 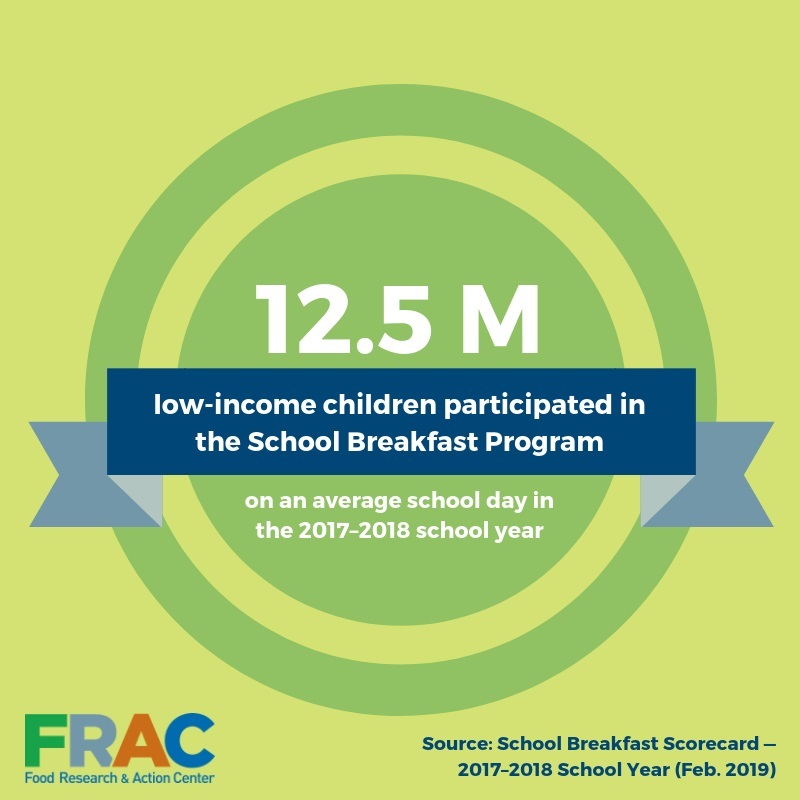 Also see: School Breakfast: Making it Work in Large School Districts and our interactive school breakfast participation map. Read the news release.